The Radi Electric Facial Bed is a very versatile bed. 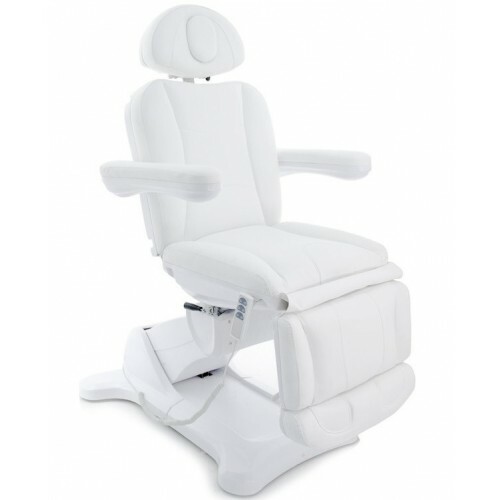 There are three motors (or 4 motors Radi+) that control the height, backrest, and seat inclination. The bed can sit at a 90° angle and can also lay flat. The armrests are reversible and the headrest can be extended. The headrest also has a removable cushion that reveals a facial hole. The bed itself can be lowered very close to the floor and can rotate 240°. Radi+ has electric leg rest control.